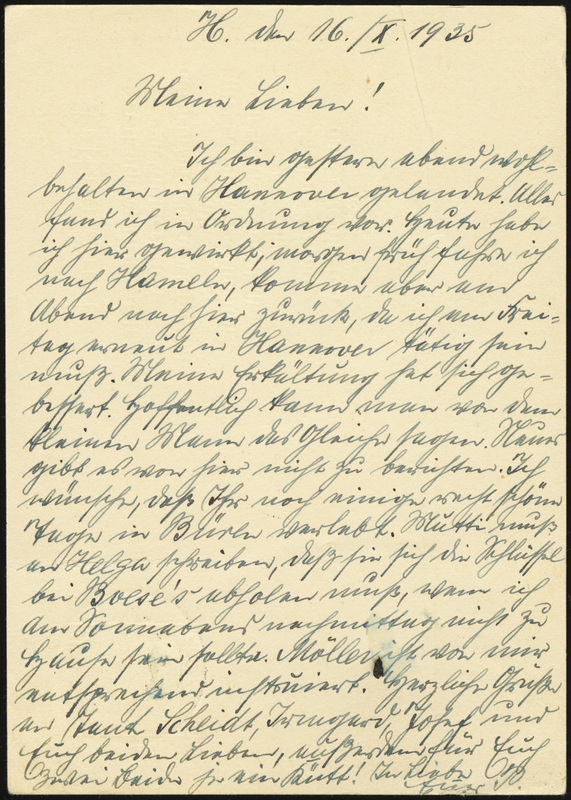 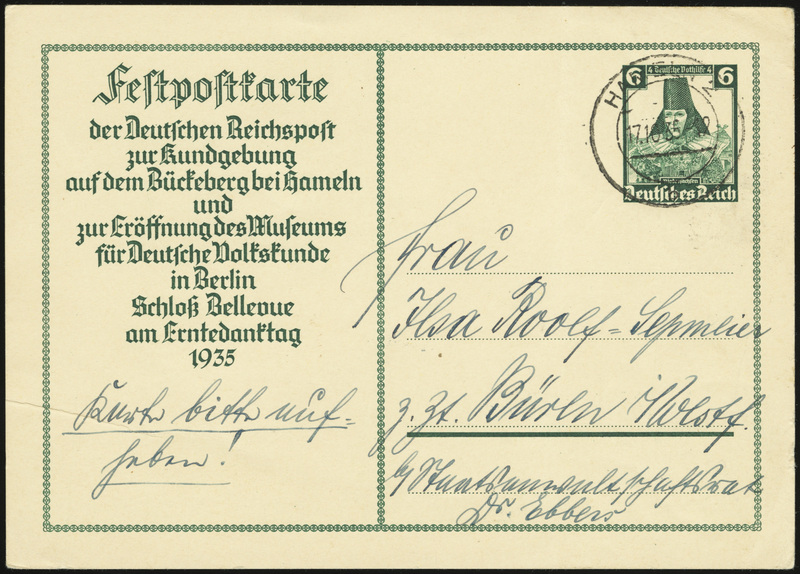 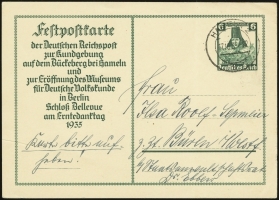 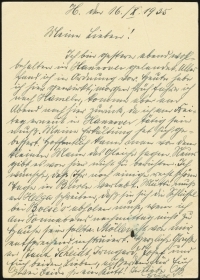 This card was issued on 1 October 1935 to benefit the Winterhilfswerk fund. 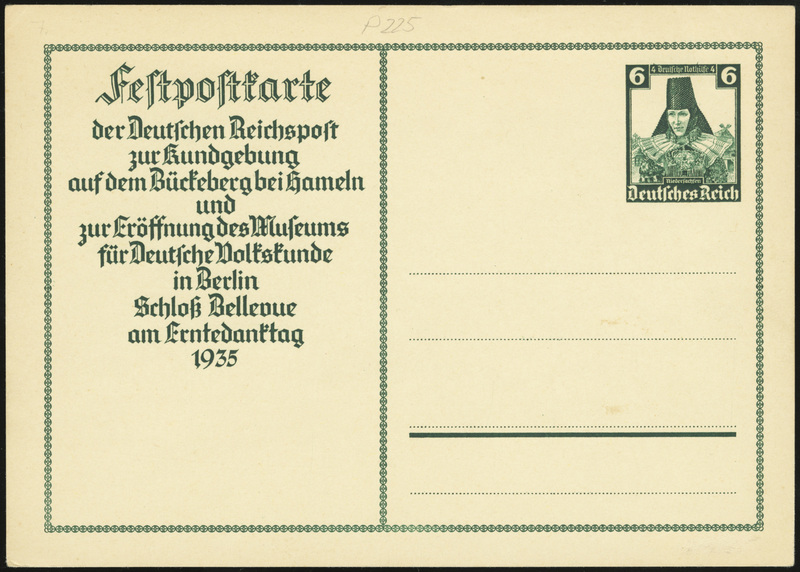 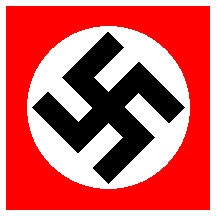 The stamp design is a woman in a traditional costume of Lower Saxony. 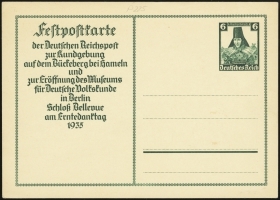 For stamp of the same design, see MiNr 591 of the 1935 Native Costumes issues.